The Disney Magic of Coolsmiles Cruise Sweepstakes is open to all legal residents of the fifty (50) United States and the District of Columbia who have reached the age of majority in his or her state, or territory of residence and are at least 18 years of age or older. 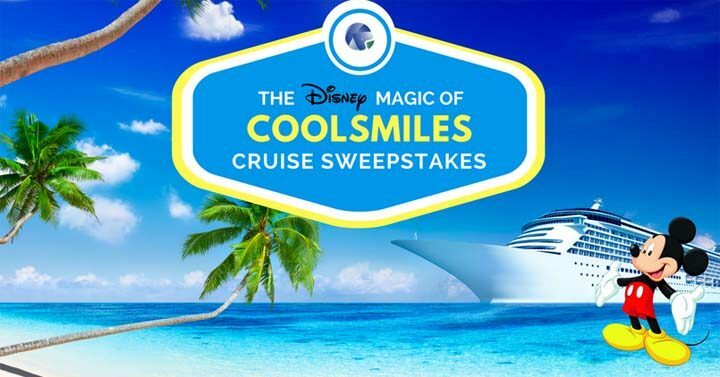 The Disney Magic of Coolsmiles Cruise Sweepstakes ends at 11:59:59 PM ET on May 31. Visit woobox.com/k34w9o to complete the entry form. Each participant may only enter once. Grand prize winner will receive a $3,500 travel voucher redeemable at Disney Cruise Lines courtesy of Coolsmiles Orthodontics. Total Prize pool ARV is $3,500.00.